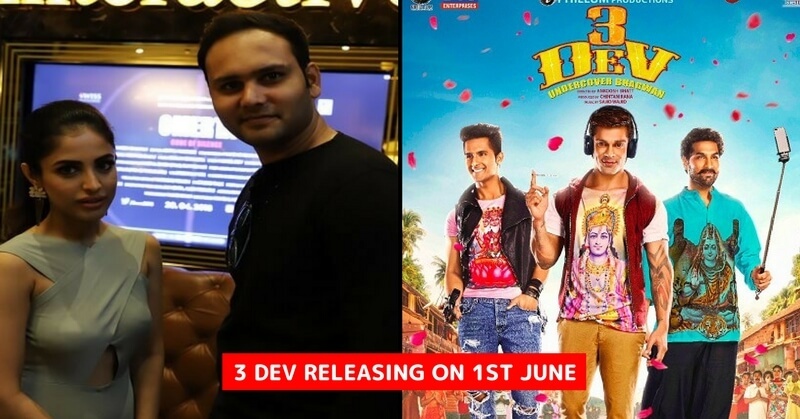 3 Dev is an upcoming comedy film starring Kay Kay Menon, Kunaal Roy Kapur, Ravi Dubey, Karan Singh Grover, Poonam Kaur and Priya Banerjee. Trailer of the movie is already released and this is surely going to be a hilarious comedy movie. Entertales and Cinetales were there at the time of trailer launch and the trailer was very well received by the audiences. We took an interview of artists and tried to find out about their roles for the movie. This time we got in touch with Priya Banerjee. Priya Banerjee is a Canadian film actress who works mainly in Hindi, Telugu and Tamil films. Banerjee did her first film Kiss in Telugu in 2013. Now she making her second Bollywood movie as a lead from 3 Dev. 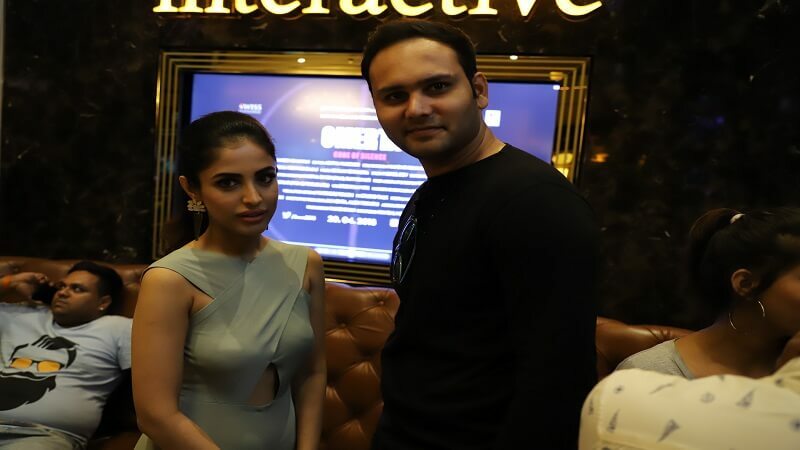 During a trailer launch at PVR Icon, Infiniti Mall, Andheri we spoke with Priya Banerjee and other artists about the film. Praneet: Hi Priya, Welcome to Entertales and Cinetales, how did you start planning from Tollywood coming toward to Bollywood? Priya: Yes coming to Bollywood is great; upcoming four movies right now which releasing this year, so it has been a great transition and I am also working in Telugu. Praneet: So which you find better Tollywood or Bollywood? Priya: Its nothing like that I will join all the platforms and as an actor, it doesn’t matter the language, it really doesn’t make a difference long as you doing good work with people. Praneet: What about this is the first movie lead you are doing in Bollywood are you excited for same? 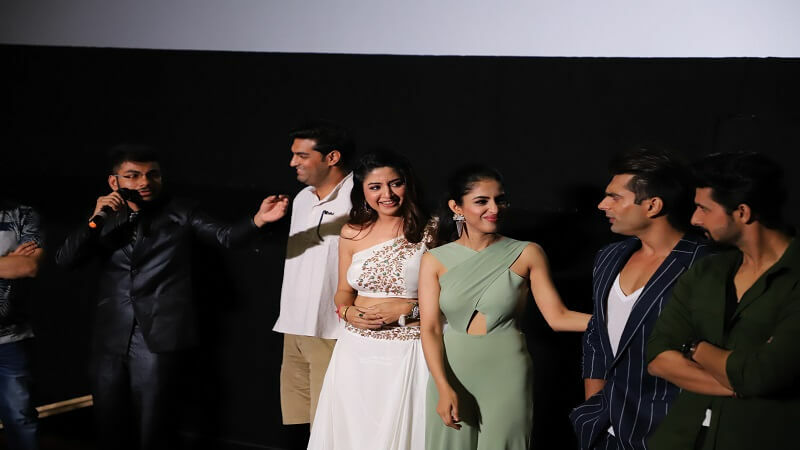 Priya: Yes, I mean to lead it’s exciting to work with people who are working from so long Kay Kay Menon, Ravi Dubey, Karan Singh Grover and everybody work so much since it is a great experience with these actors. Praneet: So any challenges you faced in Bollywood compared to Tollywood? Priya: No, I mean not that way challenges I wouldn’t take them a challenge; off course looking for the right work meeting the right people and from being to somebody who doesn’t belong to film industry comes completely an outsider, so specific to that its trick but it’s not a challenging its exciting and I enjoy the process. Praneet: Apart from Bollywood movies any other plans and projects coming in the future? Priya: Yes 2 films that we finished shooting, dubbing is happening and post-production is on, so you will soon find out the work. Praneet: Thanks a lot Priya for your time, best wishes from Entertales and Cinetales. Also, this is what Kunaal Roy Kapur and Poonam Kaur have to say about their upcoming film 3 Dev.